After big room stuff, we have a focus on some funky deep house which will be released on Oliver Koletzki’s second label Light My Fire. The Swiss duo “Fat Sushi” will present you the superb 5 track EP “Hypnotic” including 2 remixes by Stefan Mint and Kyrill & Redford. To give you a short introduction who Fat Sushi are, we wanted to let you know that they are from Zurich, have already some releases and a huge one on OFF Recordings and that they have a really funky and great sound which is very effective. The whole EP is totally 80s influenced which will you realize seconds after starting listen to “Problems“, the first track on the Hypnotic EP. It’s for sure our favorite on this EP, build for the peak time of a set or a night and just from another planet. Track two is a remix by Kryill & Redford of “Problems“, which is also good and different from the original. 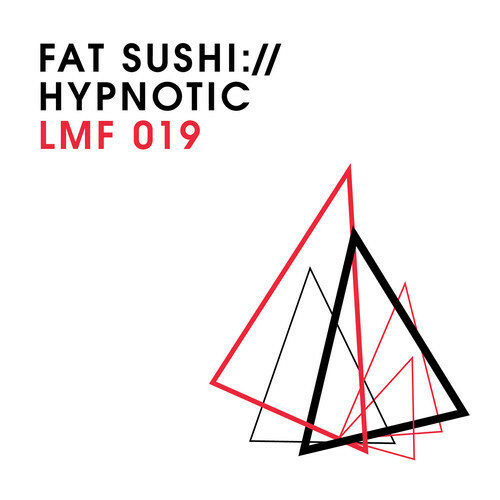 “Hypnotic” is number three on Fat Sushi’s EP, it’s a bit darker but with a positive touch, perfect for an early morning when the sun starts rising ;-) Germany’s Stefan Mint remixed “Hypnotic” and gave it a techy touch with a hypnotic feeling which is also great for the wee hours. Last but not least is “What You Need” which totally tops this EP off. It’s a well done combination of huge classic synths and modern house elements which let you hover in a different dimension.